To put people first and strive to create a family atmosphere, where our franchisees and employees can thrive both professionally and personally. To have a positive influence in the lives of our franchisees, employees, vendors and guest and be a faithful steward of all that is entrusted to us. 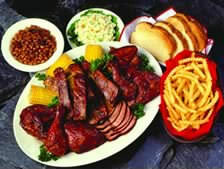 At Woody's Bar-B-Q, we believe that our success in a local community will be directly tied to the caliber of the individual who operates the local franchised Woody's Bar-B-Q restaurant. The most successful franchisees will possess the following attributes and qualities. As a Woody's Bar-B-Q franchise owner, you will become part of a family that truly cares, supports, and encourages each other every step of the way. Founded in 1980 as a family-owned restaurant, we know just how tremendous a step it is to invest in and open your own restaurant. That's why we've done our best to simplify the process with our support system to help you avoid the pitfalls you might experience working independently. 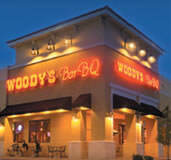 Woody's Bar-B-Q franchisees will own and operate their own business, but will never work alone. 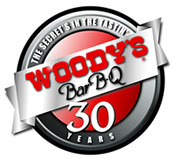 Woody's Bar-B-Q is currently accepting inquiries from the following states: Alabama, Arkansas, Colorado, Florida, Georgia, Kentucky, Louisiana, Michigan, Mississippi, New York, North Carolina, Ohio, South Carolina, Tennessee, Virginia, West Virginia, Wisconsin.